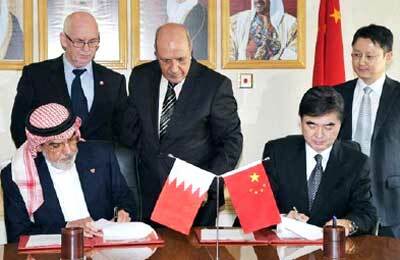 Bahrain has signed a key agreement with China to promote food security in the kingdom by developing the agricultural and fisheries sectors. Municipalities and Urban Planning Affairs Ministry Under-Secretary for agriculture and marine resources Shaikh Khalifa bin Isa Al Khalifa sealed the deal with Chinese Ambassador Lee Chin, said a report in our sister publication, the Gulf Daily News. China will supply Bahrain with cutting edge technologies to promote food security. The two sides also discussed co-operation to develop aquaculture and promote agricultural investments. They also explored the possibility of promoting soil-free agricultural techniques, which help conserve water by 80 to 90 per cent. A Chinese firm gave a presentation showcasing latest technologies in aquaculture and lucrative agricultural investments. Six Chinese experts specialised in growing vegetables, animal husbandry and fish diseases will arrive in Bahrain as part of a programme funded by China.